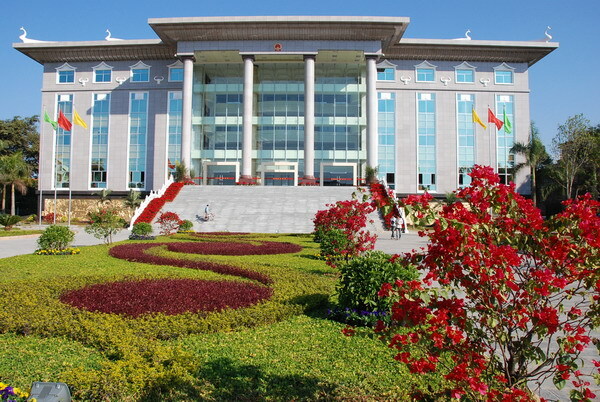 Mangshi hall was started in February, 2005 and completed in November, 2006, covering 25.5 acres, with a total area of building 11765 square meters and total investment of 60 million yuan. The main building has an area of 8,162 square meters, 13 small meeting rooms and a press briefing room. Annexe area is 3,603 square meters, reporting room of 1203 seats and ancillary establishment.